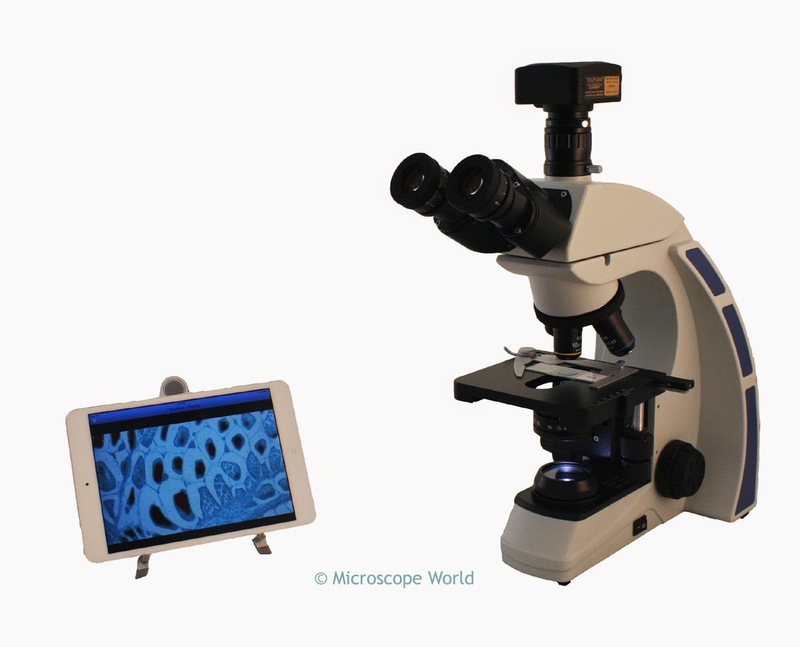 Microscope World is excited to introduce the iPad mini Biological laboratory microscope package. The digital biological microscope system includes an iPad Mini 2 tablet with the microscopy App pre-installed, WiFi camera with its own network, and a laboratory biological microscope that provides 40x, 100x, 400x and 1000x magnification. View live images from the microscope directly on the iPad. The tools included in the Software App allow for adjustment of color, exposure and gain, and white balance. Images can be captured and saved directly onto the iPad. When not using the microscope, the iPad can be used around the lab, office or home for other uses.